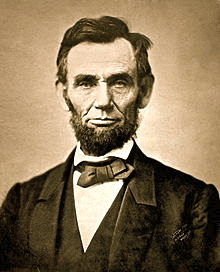 Abraham Lincoln (born February 12, 1809 – died April 15, 1865) was the 16th President of the United States, serving from March 1861 until his assassination in April 1865. 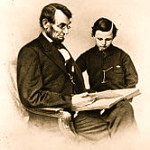 He successfully led his country through a great constitutional, military and moral crisis – the American Civil War – preserving the Union, while ending slavery, and promoting economic and financial modernization. Reared in a poor family on the western frontier, Lincoln was mostly self-educated. He became a country lawyer, an Illinois state legislator, and a one-term member of the United States House of Representatives, but failed in two attempts to be elected to the United States Senate. In 1844, the couple bought a house in Springfield near Lincoln’s law office. 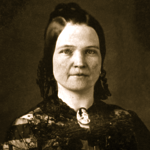 Mary Todd Lincoln worked diligently in their home, assuming full household duties which had previously been performed for her by slaves at her home in Kentucky. She efficiently used the limited income available from her husband’s law practice. 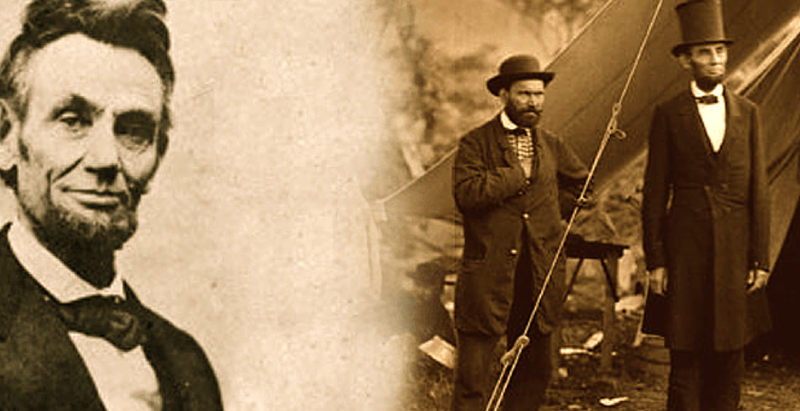 Robert Todd Lincoln was born in 1843 and Edward Baker Lincoln (Eddie) in 1846. Lincoln “was remarkably fond of children”, and the Lincolns were not considered to be strict with their children. Robert was the only child to live to adulthood. Edward died on February 1, 1850, in Springfield, likely of tuberculosis. “Willie” Lincoln was born on December 21, 1850 and died on February 20, 1862. The Lincolns’ fourth son, Thomas “Tad” Lincoln, was born on April 4, 1853 and died of heart failure at the age of 18 on July 16, 1871. After opposing the expansion of slavery in the United States in his campaign debates and speeches, Lincoln secured the Republican nomination and was elected president in 1860. Before Lincoln took office in March, seven southern slave states declared their secession and formed the Confederacy. When war began with the Confederate attack on Fort Sumter on April 12, 1861, Lincoln concentrated on both the military and political dimensions of the war effort, seeking to reunify the nation. He vigorously exercised unprecedented war powers, including the arrest and detention without trial of thousands of suspected secessionists. He prevented British recognition of the Confederacy by skillfully handling the Trent affair late in 1861. He issued his Emancipation Proclamation in 1863 and promoted the passage of the Thirteenth Amendment to the United States Constitution, abolishing slavery. See film of Lincoln’s Final Journey Below. Five days after Lee’s surrender at Appomattox, on Good Friday, April 14th, 1865, Abraham Lincoln was assassinated at Ford’s Theater. The following day, the City of New York mourns under dark skies. A week later, Lincoln’s casket passes thousands of New Yorkers on it’s way home to Springfield, Illinois. Lincoln was not a great president, to the contrary his violations of the Constitution paved the way for future presidents Wilson, FDR, Bush, Obama etc. to further shred our founding document. This video is for educational and historical purposes by PBS, please enjoy, but for those curious minds please conduct more research on who Lincoln really was. Your research shouldn’t end with who your 2nd grade teacher told you was a good president and who wasn’t. posted on youtube by: norfair18.